The ten names from the September vote enter the second round of public voting in October. Photo credit: @BrnoDaily. Source: soutez.nasnovejnadr.cz. // Retrieved on Sep. 2, 2018 at 2:05pm. The first round of voting was open to everybody. 6,428 people participated in the vote for the top 10 names for the new station. The second vote in October is open exclusively to those with an account at brnoid.cz and those who submit their vote in person at the municipal registry. The process of choosing the new name will end on the 100th anniversary of the creation of the independent Czechoslovak Republic. “The vote will run for a whole month. 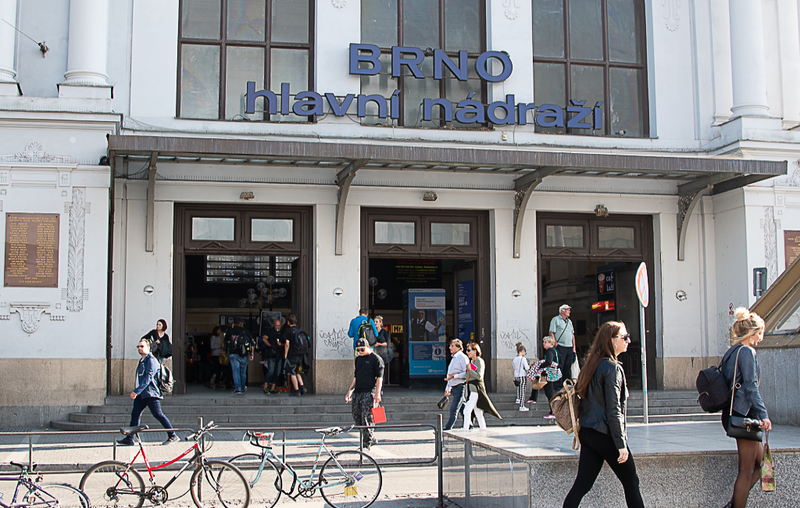 The winning name for the new railway station will be announced by the City on Monday, October 29, 2018, and will be sent to the SŽDC (Editor’s note: SŽDC, Railway Infrastructure Administration, is the state company that manages the Czech railways), which will decide on its future use,” said Filip Poňuchálek, spokesman for the City of Brno, on Monday.